A flame is burning on the inside of SNK’s corporate belly. 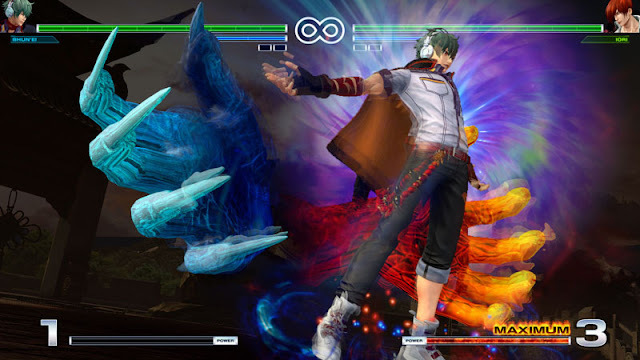 Between rebranding the company in an effort to restore its former prestige and the developers within the company outright proclaiming their intent to make the latest King of Fighters game an accessible and popular one, it’s as if the team has something to prove. The King of Fighters XIV might not be a grand reinvention of the entire fighting genre, yet I can’t help but applaud SNK’s complete devotion to crafting an old-school experience with all the modern trimmings. Related reading: Fighting game fans will also want to check out BlazBlue on the PlayStation 4. It's superb. We’re currently observing an era in which the model for fighting games, specifically in terms of content distribution, is being tested more than ever. Ever since the early arcade days, the genre has been iterative and relied on expansions. At the forefront of today's experimentation, you’ve got titles like Street Fighter V and Killer Instinct, which offer leaner character rosters out of the gate (a rather pivotal component of fighting games, obviously) but promise to develop over the course of several years rather than via installments. It’s a model I like in principle; it means redundant expansion packs are no longer needed, communities are upholstered by a stream of the creators’ content, and developers are better compensated for their work over time. There are clear benefits all around. It’s just that when The King of Fighters XIV suddenly pops out and delivers one of the grandest, most diverse and fulfilling rosters ever straight out of the gate, it’s impossible not to gawk. 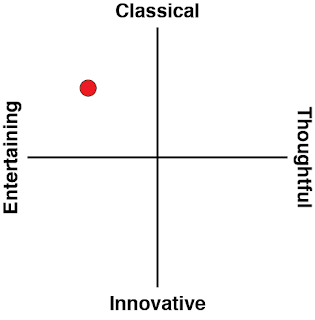 We’re talking about a prolific franchise known for many characters, so let that soak in for a few seconds. 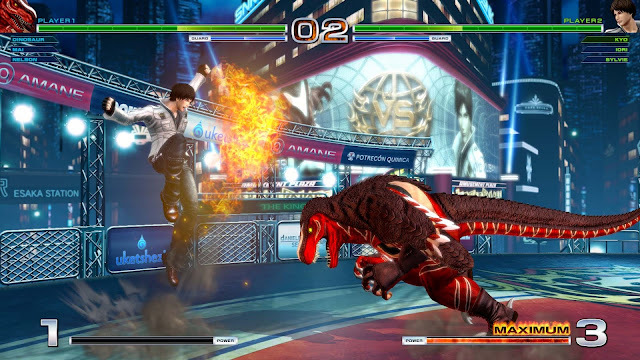 The last thing a title with as much depth as The King of Fighters XIV is going to need is an expansion. 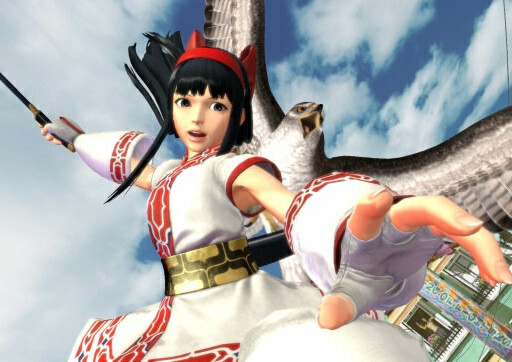 Any DLC will be wholly superfluous, just there tantalise long-time players (but if you’re listening, higher-ups: Shermie and Duck King, please). A monolithic roster would of course be for nought if the core experience was paltry, but rest assured that XIV is as finely tuned as the catchy riffs accompanying each stage. The series is highly reminiscent of the base systems presented in Capcom’s classic Street Fighter II (logical given that the two IPs competed for arcade supremacy in the 90s), albeit with many of SNK’s own defining tweaks. Here you’re dealing with fewer punch and kick variations in exchange for greater mobility in terms of dodging and airtime. Special moves like projectiles are less oppressive when there are many options to evade them. The defining trait of XIV specifically, though, is the newcomer-friendly “Rush” system. Tapping one particular button repeatedly grants a flashy combo with decent damage to boot. Although these attacks are just pale imitations of ones conjured by pros, they’re invaluable tools that can curtail the skill gap just enough to make players feel accomplished against tougher foes. That is utterly essential to building a community where players will feel welcome and want to outgrow the training wheels. With these new easily digestible combos, the potentially intimidating three-on-three styled fights the series is known for might not be so treacherous for novices. You’ll still have to learn three different playstyles and swallow plenty of match-up information, but suddenly every character has a trick you can resort to while you adapt. While I wouldn’t call XIV accessible in the same sense as Super Smash Bros., the tutorial conveys its unique components adequately. It’s certainly not as intimidating as the likes of the Guilty Gear and features a calmer tempo where players have time to analyse situations before getting combos in the face. Button timing and execution in these games have always demanded extra precision to the point where an arcade stick is a worthwhile purchase, but XIV feels a touch more forgiving. If greenhorns can overcome the entry barrier, they’ll find that KOF’s ingenious team system is still novel in today’s landscape. This brings me back to the characters, which are frankly so integral to the experience you may well feel compelled to test them all thoroughly. The sheer variety between them is something to behold. You’ve got a hawk-riding time traveler, a man who hides his face and transforms into sand, a dinosaur fanatic with power moves, a Freddy Krueger homage complete with claws, and a less perverted Master Roshi from Dragon Ball just to name a few. My favourite of the new contenders is a lethargic boy who fights with his trusty pillow and is apparently hailed for his superior technique. In terms of aesthetics, they’re all charming variations of fighting game tropes with some twists thrown in for good measure. When it comes to practical use, virtually all are unique and not “clone” characters there to pad the roster. I do suspect that balancing might be one of this game’s issues once tournament players have descended and analysed it like birds of prey. Making a whopping 50 combatants equally viable would take ludicrous hours of testing not even the richest companies out there could pull off in a timely manner. A game like the aforementioned Killer Instinct manages to juggle many fighters because meticulous planning goes into how each addition will affect the meta-game and that that title offers about half of what KOF does. At the same time, there’s no use weeping about inequality in this review because the developer can and will continue to clean up messes via updates. The real upside is that, even if certain characters are eventually rendered null competitively, SNK’s lineage makes their inclusion worthwhile as intriguing cogs for the single player campaign. Raw number of characters aside, what I adore about The King of Fighters is that its roster feels like it is composed of legitimate entities. It’s not quite Super Smash Bros. in scale, but many of these folks had their origins in the likes of Psycho Soldier, Fatal Fury, Ikari Warriors, and Samurai Shodown. The King of Fighters-original entities, meanwhile, complement SNK’s overall sense of aesthetic consistent across its brands. SNK’s rich history also grants King of Fighters an opportunity to tell story arcs with individual threads that range from heart-warming comedies to edgy dramas using its story mode. The series is rare among fighting games in that it juggles existing plots from past games and builds directly off them. That’s why the minimalist characterisation in XIV is disappointing in 2016. There is strong incentive to play through the game’s story mode with every team, so the lack of more individualised cutscenes is noticeable. Specifically, seeing the same opening video 20 times without a sequence to introduce the characters you’re playing as is jarring. I’m not campaigning for the series to become BlazBlue in scale, but leveraging decades of existing lore to enhance the narrative could do wonders for the IP. SNK has so many quirky faces at its disposal (many with years of history) that can even expand outside of the King of Fighters bubble if the company sees fit. With one of the goals here being to increase the player base, there really should have been some kind of history section for newcomers to decipher what the heck is going on. The mode itself does deliver compelling arcade action in spades throughout a lengthy ten round stint, however. And of course, the developers couldn’t resist their sadistic side by throwing in the requisite final boss capable of draining half a health bar in literally four seconds if you don’t know what you’re doing. That first playthrough will be a memorable one. There are various other single player trinkets to toy with that allow players to develop their combo prowess, as well as a museum mode that delivers an overarching sense of progress some modern games have neglected in recent years. It’s no mystery what the meat of the game will be for most players, though: the online mode. This is fortuitous indeed because the new game is the first in the series to adopt a snappier matchmaking system in line with contemporary fighting games. Less time is wasted trying to find an opponent and you won’t have to mash through obnoxious strings of menus. Waiting time is circumvented by having players pick a default team and map preference against all foes. In most mainstream titles it’s presumptuous to say the player will use the same one every time, but given that King of Fighters tasks you with learning three separate characters to be competent, it’s far less intrusive. Players who would rather square off in one-on-one matches or tourneys have more tools than ever and no-frills ones at that. While I can’t vouch for the netcode at this early juncture, the matches I waged around the world were more than playable and that’s precisely what you need in these sorts of frame-perfect games. As a whole, XIV has a degree of polish reminiscent of SNK’s proverbial golden age. When my chief complaint besides the story mode’s failure to evolve is the lack of a retry button in certain modes, you know I’m floored. In terms of presentation, SNK's latest could not be sleeker if it tried. 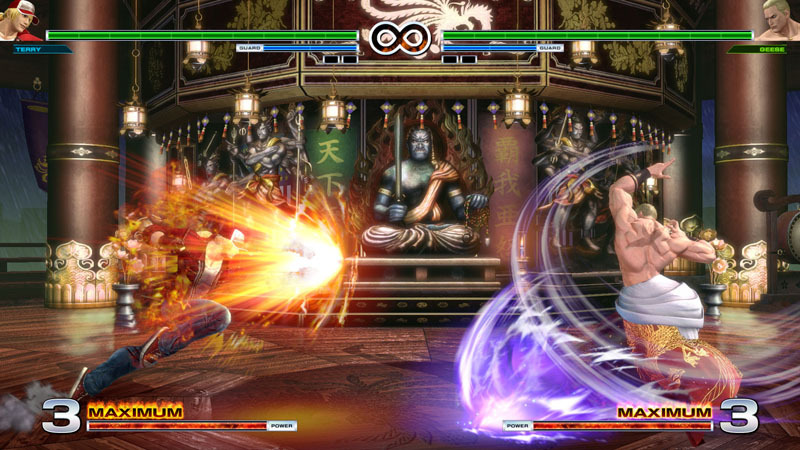 The main KOF series has prided itself in delivering realistic 2D sprites to the point that this game’s prequel is arguably unparalleled in sheer detail and fluidity, but the new art style is a gamble that pays dividends. The company took that approach as far is it could go and now 3D models flawlessly portray the personalities of timeless characters with a newfound sense of style not conveyable through two dimensions. Certainly in terms of fanservice I doubt players will be complaining. 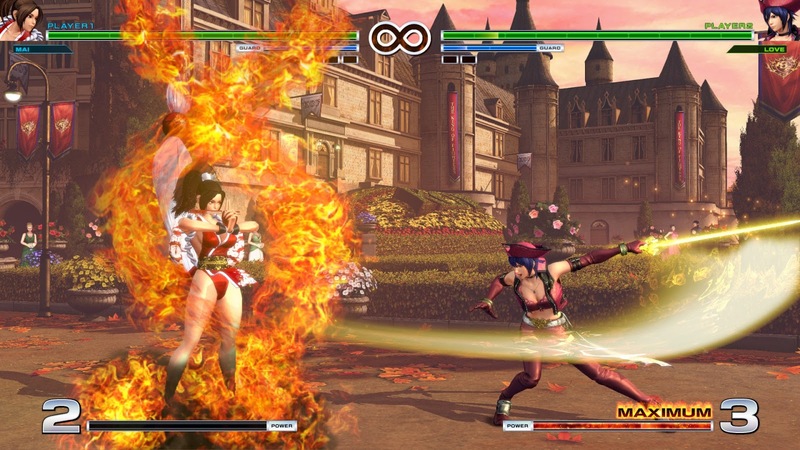 Related reading: And of course we can't talk about fighting games without talking about just how much we like Dead or Alive 5: Last Round. For 3D fighting game fans, here's your game! Likewise, the pulsating soundtrack that sets the tone of the franchise is ear candy at its finest. That’s a tall order considering the groovy nature of past entries, but the gloriously cheesy theme song just puts it over the top. If you ask me, fighting games are at their best when coupled with irreverent songs like the infamous “Indestructible” from Street Fighter IV. I love that the menu is self-aware enough to let players turn off the vocals at the click of a button (though you’ll need heavy artillery in hand if want me to silence the saintly lyrical stylings of Steven McNair). Even the in-battle announcers are on point with both male and female speakers delivering goofy lines worthy of hearty chuckles. The King of Fighter XIV channels the spirit of the 90s whilst very subtly evolving to attract more casual players. 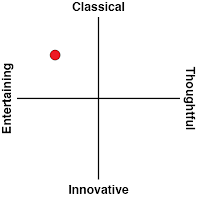 Coupled with a truly electrifying character roster and robust single player options, the game feels like a legitimate classical experience done justice. It caters to more than just the hardened warriors of yesteryear. If eSports are your forte, though, SNK has you covered with one of the fighting genre’s broadest spectrums of options to tinker with.